Delays in the opening of Doha’s critically important new Hamad International Airport (HIA) are almost as farcical as those of Berlin’s new Brandenburg International Airport, but the transition to full operations is now in its home stretch and we have a great preview of the stunning new terminal below. According to Qatar transport minister Jassim Seif Ahmed Al Sulaiti a soft opening trial will begin this month from the chic new terminal involving ten carriers – Air Arabia, Air India Express, Biman Bangladesh Airlines, Flydubai, Iran Air, Nepal Airlines, Pakistan International Airlines, RAK Airways, Syrian Air, and Yemen Airways. Qatar Airways is now expected to transition its operations into its new home on April 1. Doha International Airport is cripplingly overcapacity. Designed for an annual throughput of 12 million passengers a year, in 2013 the airport handled approximately 25 million people with 75% handled by Qatar Airways. After Dubai, it is now the second largest Middle East hub, and is now in the top 25 airports in the world measured by international passenger traffic. Originally scheduled to open in 2009, construction delays forced airlines and authorities to plan for a soft opening from April 1, 2013. Hours before the 1 April deadline the opening was called off citing the failure to meet certain regulatory requirements of Qatar’s Civil Aviation Authority. 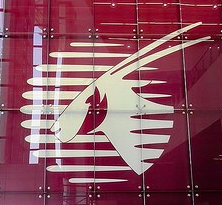 Qatar Airways has since filed a $600 million legal claim with contract Bechtel over delays. On December 1 Qatar Airways Cargo inaugurated operations to the airport through the new 77,000 square metre cargo terminal. The cargo terminal alone has 75% more capacity than the current Doha International Airport able to move 5,700 shipments simultaneously and handle 1.4m tonnes of cargo per annum by 2015. Not as grandiose as Beijing or Dubai’s airport projects, HIA is designed to handle 28 million passengers in its first phase and up to 50 million in its third phase which is scheduled to open in 2018. Offset by two kilometres HIA’s two parallel runways 16L/34R and 16R/34L will support simultaneous operations. The eastern runway 16L/34R at 4,850 m × 61 m (15,912 ft × 200 ft) is the longest runway in Western Asia and the eight longest in the world.